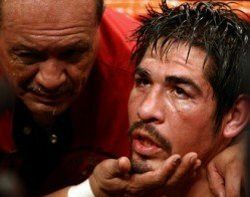 New York - Manny Pacquiao's former sparring partner, Super Welterweight Glen Tapia 11-0 (5 KOs) scored a 2nd round KO of Mike Ruiz 15-6 (7 KOs) of Aguada, Puerto Rico. 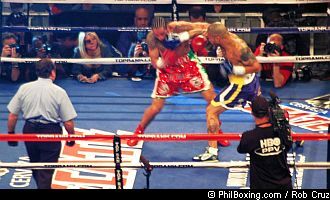 The Passaic, NJ native figured in a great exchange with the Puerto Rican in round number 2 with both fighters scoring telling blows. 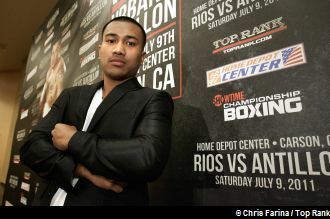 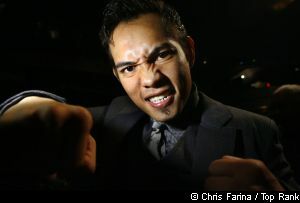 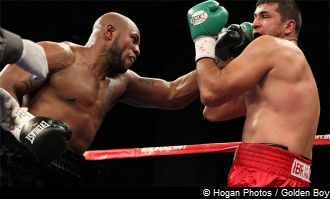 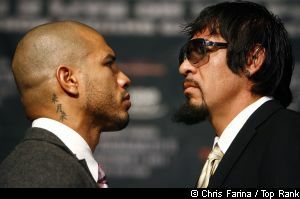 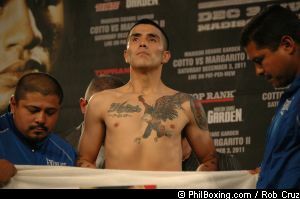 ARUM PRIMES GESTA FOR RIOS'S LIGHTWEIGHT BELT IN 2012; WILL RIOS AND HIS WEIGHT ISSUES ALLOW HIM TO STAY IN THE DIVISION?